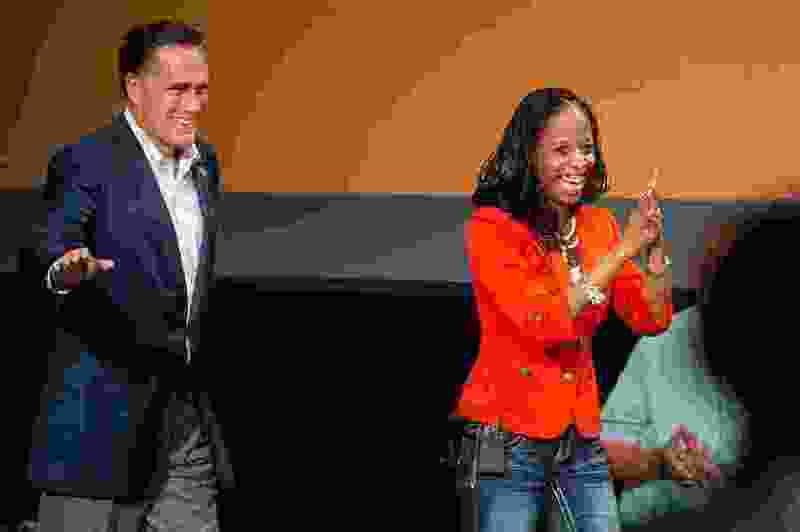 (Trent Nelson | Tribune file photo) Mitt Romney speaks at a rally to support Rep. Mia Love's 2014 election. Mitt Romney on Monday called out President Donald Trump’s alleged slight against Haiti, El Salvador and African nations, saying the vulgar comment is “inconsistent” with what America is and believes. “The sentiment attributed to POTUS is inconsistent w/ America’s history and antithetical to American values,” Romney tweeted Monday. Rep. Mia Love, R-Utah, on Sunday called the comment racist. Love’s parents emigrated to the United States from Haiti. Romney, the Republican nominee for the 2012 presidential election, is widely expected to run for the Senate seat that Orrin Hatch, R-Utah, says he will leave after his term ends in early 2019.